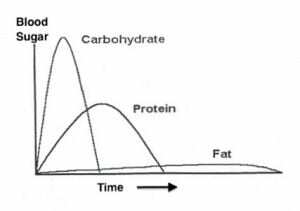 I have had a few requests this week to explain the theory behind low carbohydrate diets. I am going to put it as simply as possible. I hope this helps. 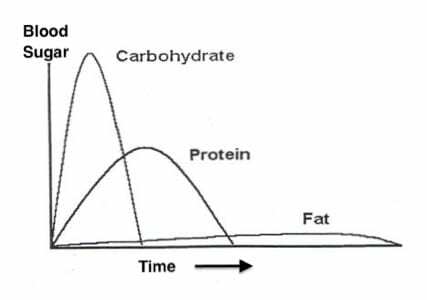 The good news is that when we reduce our carbohydrate intake, less insulin is produced. This releases fat from storage and increases fat burning, usually resulting in fat loss. A diet low in carbohydrate and high in healthy fat allows the body to use its fat reserves. In the above bullet points, the scenario I have described is a condition known as insulin resistance. As we age we become more insulin resistant, putting us at risk of excessive weight gain, around our stomachs in particular. For women the decrease in production of oestrogen as we approach menopause causes us to become more insulin resistant, increasing fat above the waist, around the stomach area in particular. If this isn’t bad enough, associated metabolic risk factors such as high blood pressure and high blood sugar levels put us at greater risk of heart disease stroke and diabetes, just to name a few. For the men reading this blog, forget the estrogen issue, you have always had a greater risk of these metabolic disorders just because you are a man, now the women have caught up! We are all in the same boat now and it is time to do something about it! Simple sugars and processed and starchy carbs are the foods to avoid. The thought of not eating bread, pasta, rice and cereal might fill you with dread, however the alternatives we suggest may include foods you have avoided for many years and will enjoy that they are back on the menu. Foods endorsed in the LCHF way of eating include tasty and nutritious food, not rabbit food, diet yoghurts and calorie counting. How does bacon and eggs or a Creamy Garlic Mushrooms for breakfast sound? Pork belly with Cauliflower Mash and Asian Slaw for dinner? Lemon Cake for dessert? Read through this website for recipes and tips and tricks to help you get underway with this way of eating.